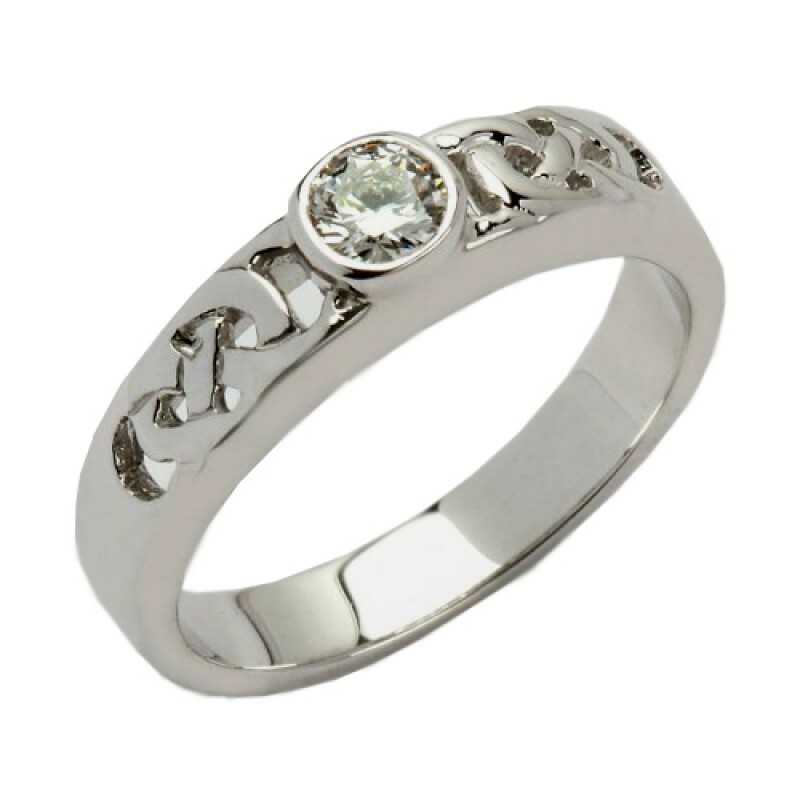 A stunning Irish Made Ring! From the Boyne Diamond Collection - the lines are a symbol of the Boyne River which has been central to Irish History since the Dawn of Time. Made in White 14 Karat Gold it features a simple 0.1 Carat Centrepiece. This is a beautiful Claddagh Band Ring made from 14 Karat Yellow Gold. It has the classic featu..